CE Colo is a leading provider of state-of-the-art carrier-neutral data center services in the Czech Republic. CE Colo was established through acquisition of Sitel Data Center (SDC) in January 2011. CE Colo owns and operates data center facility in Prague. CE Colo facilitiy provides key interconnection points for the Internet. CE Colo is focused on providing its customers the data center infrastructure needed to grow their businesses. Our data center provides secure and connected environments where customers connect house and distribute mission-critical data, web content and media. 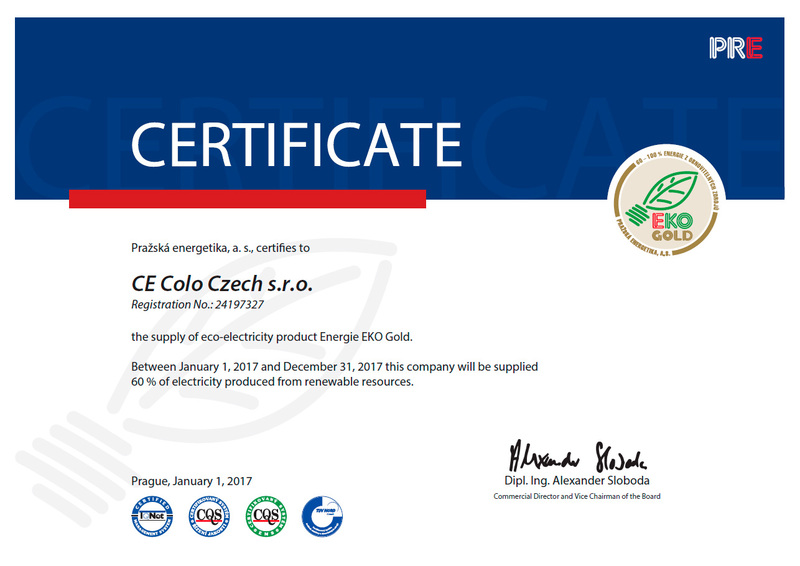 CE Colo holds the internationally recognized ISO certifications. This standard ensures customers who use the services of data center, high-quality and professional service.